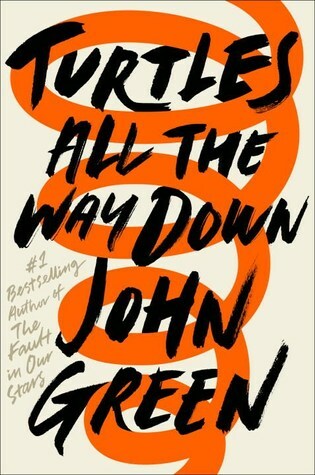 Sandy Miller will lead a discussion of John Green's novel Turtles All the Way Down. Participants are encouraged (but not required) to read the book in advance. Ask for a copy at the library’s information desk. Like many of Green's characters, Aza Holmes is whip smart, articulate, and tortured by worry. When she was eight, her father succumbed to a heart attack while mowing the lawn. Now 16, Aza takes meds (irregularly) to treat anxiety, which is manifesting in increasingly self-destructive ways. Her problems amplify when she reconnects with Davis, a boy she met years earlier at "Sad Camp," where both had gone to grieve their recently deceased parents. Now Davis's billionaire father is missing, running from a warrant for his arrest. Aza's best friend Daisy, in a classic sidekick role, pressures Aza to contact Davis, hoping they'll learn something about the disappearance—and maybe get a cut of the $100,000 reward. The reunion leads to romance until Aza's anxiety won't allow it. Green's first novel since The Fault in Our Stars is another heartbreaker, full of intelligent questions. In an age where troubling events happen almost weekly, this deeply empathetic novel about learning to live with demons and love one's imperfect self is timely and important.